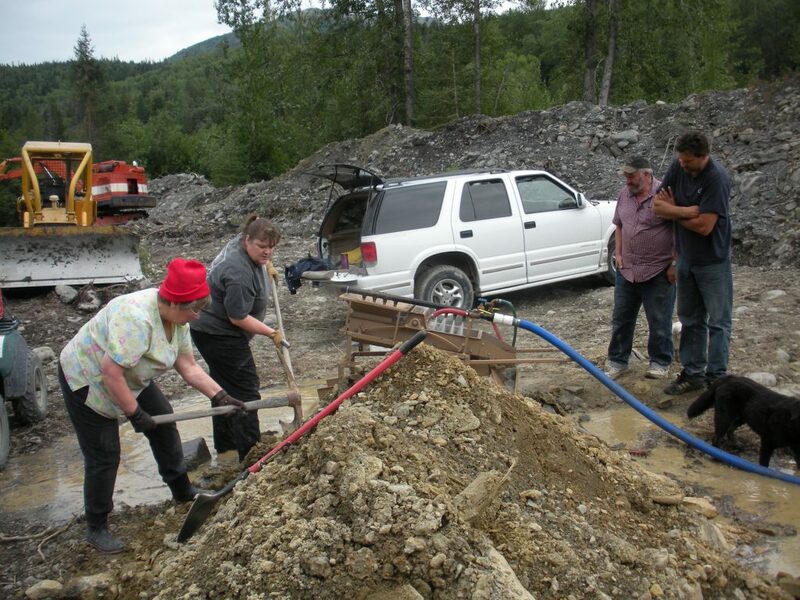 Hope Mining Company offers a variety of recreational-oriented mining experiences for the new or novice miner or more seasoned, accomplished miners. Recreational leases can extend a day, a weekend, a week, a month or an entire season. Customized experiences are easily tailored to your needs. Equipment for recreational leases includes highbankers, dredges, static sluice boxes, gold classifiers and suction dredges. Pumps used to supply water to mining apparatuses up to 2″ in discharge diameter are permissible as well. Hope Mining Company will work with you to find the perfect area within our holdings to enjoy your recreational mining experience. Depending on the duration of your lease, you may be provided with a designated camp area that can accommodate tents, a camper, or a reasonably-sized pull-along camper, trailer or motorhome. Most available mining areas are behind locked gates making a seasonal recreational lease a great opportunity for the mining “weekend warrior” that travels between Anchorage or the Kenai Peninsula and Hope when time affords the mining experience. All leases are based on one mining season and expire on October 15.